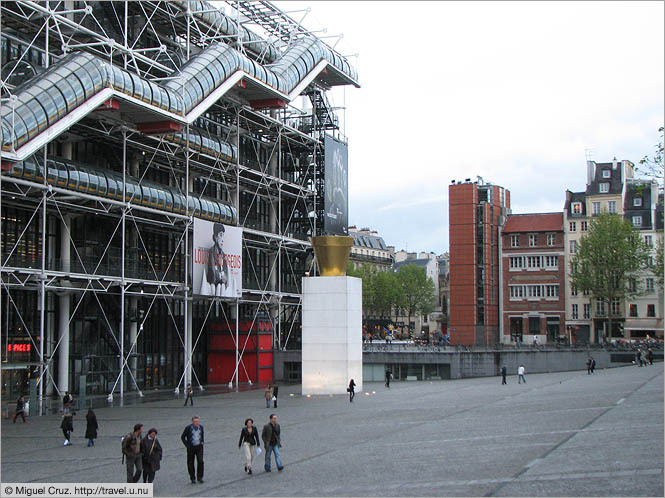 Some people claim the Pompidou Center doesn't go along with the other buildings in the neighborhood. Crazy talk! New! View this spot in Paris with Google Earth (if installed on your PC). Once Google Earth is finished loading, click on the pushpin icon to get started. Or read about how location tagging is used on this site.